The use of 3D printing is growing. From kayaks to pancakes to human and canine prosthetics, a diverse array of 3D printed products have been delivered. 3D printing has also been named one of the top technology trends in 2015 that organizations should incorporate into their strategic planning. In the federal space, 3D printing is evolving. Winners of the White House 3D ornament contest were announced last month. In January, we’re highlighting projects that show how 3D printing can support diverse federal initiatives, from scientific research to space exploration. 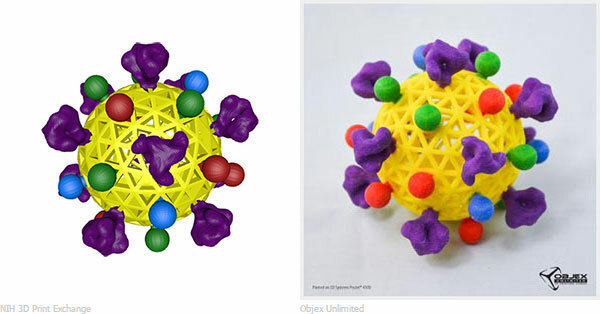 The NIH 3D Print Exchange enhances learning and research through scientific 3D printable models. Website visitors can search, download, and share biomedical 3D print files, modeling tutorials, and educational material. The website also holds the distinction of being the first government-sponsored website dedicated specifically to 3D printing. Building scientifically or medically accurate models is a laborious process, even for people with 3D modeling experience, and few models are available online. As an open, community-driven tool, the NIH 3D Print Exchange fills those gaps in availability and accessibility. Users can generate high-quality models in minutes by uploading a file or accessing a database. Video tutorials and instructional materials about 3D modeling software are also available, and collaboration is fostered through a discussion forum. Available models include a fractured face, insulin, and a cartoon model of the HIV virus. Classroom material is also being developed to teach educators how to use scientific 3D prints as hands-on teaching aids. NIH is also sponsoring a “Science in 3D” festival on January 20th and 21st to promote the use of 3D technology in bioscience. 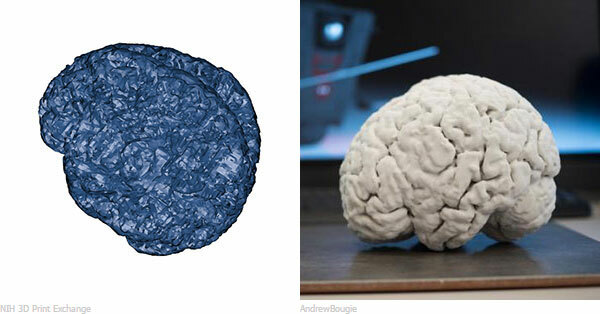 Several aspects of 3D technology will be covered: modeling, printing, and visualization. Subject matter experts in government, academia, and the private sector will present on topics that include bioprinting, physician and patient education, medical and surgical devices, augmented reality for medicine, and 3D technology policies. The festival will also serve as the official announcement for the 3D Print Exchange API. The API was created by SquishyMedia, with support from 18F. “We are looking forward to seeing how our user community and developers will use the API to maximize the potential of these valuable scientific and medical models,” said Meghan Coakley, Ph.D., Scientific Program Analyst and NIH 3D Print Exchange team member. There will be a videocast of the festival, and the hashtag for the event is #ScienceIn3D. Later this month, DigitalGov will highlight NASA’s 3D printing program. Be sure to sign up for the DigitalGov newsletter to receive daily or weekly updates. The NIH 3D Print Exchange is led by the National Institute of Allergy and Infectious Diseases (NIAID) in collaboration with the Eunice Kennedy Shriver National Institute for Child Health and Human Development and the National Library of Medicine. You can follow the project on Twitter at @NIH3DPrint. Dr. Hurt and Dr. Coakley are part of the NIAID Office of Cyber Infrastructure and Computational Biology. Dr. Coakley is a contract employee through Medical Science & Computing, LLC.